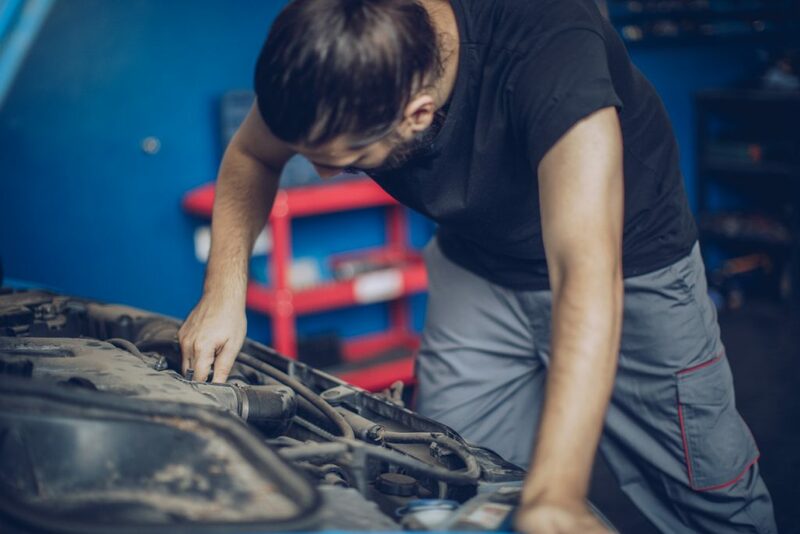 Car maintenance firm MotorEasy, which specialises in aftermarket warranties, studied 30,000 cars between the ages of three and eight years old. It found that diesel models were less reliable than petrol cars for seven out of 10 car makers (71 per cent). Which diesel cars are worst? 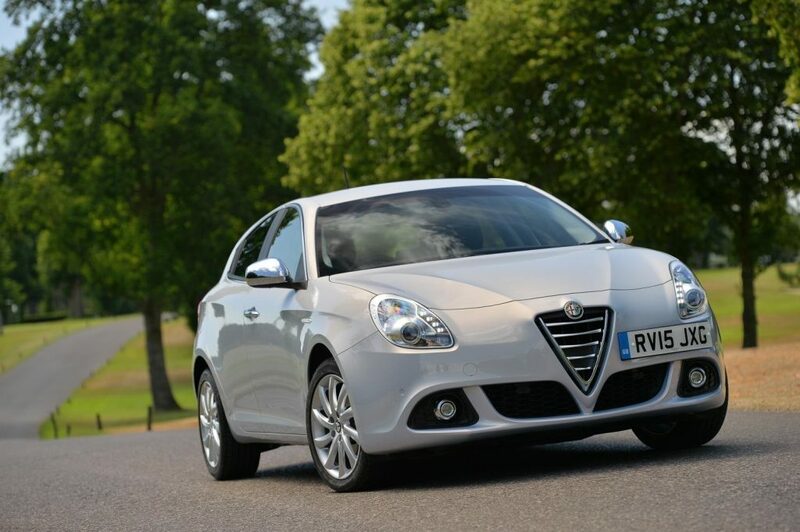 According to MotorEasy, Alfa Romeo has the worst reputation for reliability with a failure rate of 47 per cent among its diesel models. That makes them four times more likely to fail than one of the Italian firm’s petrol cars. It’s followed by Land Rover on 41 per cent and Mitsubishi on 36 per cent. Saab and Mazda, both on 33 per cent, complete the bottom five. Kia and Mercedes are next with a 29 and 27 per cent failure rate. Vauxhall, MINI and Audi make up the remainder of the top 10, all on 26 per cent. Which diesel cars are the best? Ironically Volkswagen, the brand that helped put diesel in the emissions spotlight, is one of the better manufacturers. And its Czech brand Skoda, which uses VW technology, was the best in the study. Just nine per cent of its diesel cars fail. Why are they less reliable? Petrol relies on spark plugs to cause the explosion in the cylinder that turns the cranks to eventually power the wheels. Diesel can’t do this because it is less flammable. As a result, diesel cars use what’s known as compression ignition. This prompts the explosion by putting the fuel under enormous pressure. It’s these high pressures throughout the engine that cause failures in components such as seals. Why are diesel cars more expensive to fix? The report says fixing a duff diesel could cost 20 per cent more than the equivalent repair to a petrol car. The average diesel car costs £517 to fix while for petrols the prices is £433. Diesels are more expensive because they operate under such high pressure. This requires fine tolerances and sturdier parts. How to protect against a diesel failure? Drivers who cover low mileages around town should also avoid diesels as the Diesel Particulate Filter (DPF) is prone to clogging. Read more about this here. What a load of rubbish a 100,000 mile diesel engine is virtually just run in! yeah such rubbish ,had my peugeot from 3 years old 03 plate ,it passes the mot every time no problem . starts and goes same as day i bought it.,and it don`t smoke either. Find it difficult to accept what I have just read in your article regarding Diesel cars being less reliable than petrol. Since 1989 I have used diesel engined cars and driven in excess of 1.5million miles in 8x Peugeots, a Renault (for my sins and never again, the most unreliable!) 2x Jeep, 2x Mitsubishi, a Honda- poor reliability and currently, 3x Kia by far the most reliable all round with 200K todate. The most miles driven in one of those vehicles was a 1996 Peugeot 406 2.1diesel was 220K and the engine never once let me down or missed a beat. All my cars are serviced at manufacturer’s recommended mileage. Where do these supposed facts come from, I’ve never been questioned ? Not looking forward to having to use petrol engined car. Quite frankly the comments on diesel car ownership/reliability is a load of TOSH. And is just adding more confusion to the already “Muddied” waters on diesel vehicles and the lack of clarity from both the government and other motoring organisations. Do us all a favour and stop SCAREMONGERING. Suggest you get your facts from a more reliable source. Diesel engines are known for their longevity of life and better fuel economy than petrol. The higher compression used in a diesel engine requires much more precision engineering. Therefore, as applies to all engines, providing scheduled servicing is carried out, diesels can run for hundreds of thousands of miles. Ask the question, why aren’t HGVs using petrol engines? This is a biased report because deriding diesel vehicles is ‘flavour of the month’. Started driving diesel cars over 30 years ago because they are more sturdy and a no-brainer because they are far more economical. Had a Citroen Picasso which went well over 200,000 miles before I sold it still running perfectly on its original injectors. However, I believe that they have become much more complicated in an effort to “clean” them up and the resultant technology causes lower reliability, not to mention the plethora of extra electronic gizmos which may be prone to faults. I agree with the other comments; I have had several of both types of car and to be honest apart from mpg in diesel’s favour I have found neither to be more or less reliable than the other. I’ve had three diesel cars that all had fap box and partial filter failures – very expensive to replace – due to the fact I don’t do heavy mileage or thrash them – something the garages all said was necessary to prevent the filters blocking. I now have a petrol car and although it isn’t so good on fuel economy, I’ve had no problems with it at all. Diesels are made to work, not use as a runaround or for town driving. I know several other previous low mileage diesel owners that have ditched them for the good old petrol engine due to the same problems as me. Manufacturers need to sort this anomaly out. This article is irresponsible. It is certainly not my experience that diesels are less reliable. What are the details of this so called survey? Is the evidence statistical or empirical? It looks to me like the poor results of Alfa Romeo has distorted the results for all diesels. Take Alfas out of the equation and what do make of the results then? Statistics can be manipulated to support any argument. You people are talking total rubbish about diesel cars been unreliable,They are more reliable than any petrol engine car and are far superior in all ways. far stronger engines more pulling power cheaper to run, more miles to the gallon give off less pollution than petrol cars ,( no matter WHAT THE GOVERNMENT CRONIES SAY!!!! ). ALL THIS RUBBISH ABOUT DIESEL CARS IS ONE HUGE CON.THE MODERN DIESEL ENGINE IS A TOTAL GEM AMONG THE CRAP THIS GOVERNMENT IS TRYING TO PUSH ONTO THE PUBLIC. For me this is perfectly true. Modern Diesels (Euro 5 in particular) are a load of rubbish. we do about 10000m a year in our golf 1.6 TDI. So far it has required 3 EGR valves, 1 Turbo Charger and 1 Clutch at 14000m???? It requires Shell V-Power at £1.35/l and still seems to regenerate the DPF filter every 5 minutes, where upon it runs like a pig for half an hour and smokes like buggery! I bought a brand new Ford Kuga and, as a diesel driver for over 25 years ( following Government advice) and had the 2 litre diesel version. A month after the warranty ran out the dual mass flywheel fell apart taking with it the clutch and starter. For a £28k car, a bill of over £3k a month after its 3rd birthday was not very impressive. At least it manages 40mpg. The current hate campaign has now dropped its resale price to that of scrap, so my next one is sadly going to be petrol. The other car in the household, a Hyundai i10 auto with a tiny engine just drinks petrol but at least it keeps going despite its obvious greater generation of pollution. Like everything it depends on how you use it and how you look after it. Go to the shops three times a week, buy a petrol car. Sit on the Motorway for 100 miles every day buy a diesel.. Manufacturers service intervals are to make their cars look good to the Fleet buyers ie: lower pence/mile servicing. If it’s your own car cut the service interval in half and you have no trouble. Some people could break a wood burning stove …. especially if it’s a company stove made by BMW Audi or any of the other stoves favoured by the ‘rep’ brigade. Total rubbish. I’ve been driving diesels since the late 1980s, and the engines have alway slasted for at least 250,000 miles. The cars have been replaced due to body and suspension wear, or the driver’s seat wearing out, or just wanting a more modern car. The only persistent engine problem was on a VW diesel that I bought with 170,000 miles and it would often refuse to start when warm. At about 250,000 miles I left in on my forecourt after buying another diesel, and then the fuel tank started leaking so I had to replace the tank promptly. That’s when I realised all the unreliability was due to rubbish from the fuel tank. With the new clean tank it went much better and stopped smoking too. The problem was nothing to do with being a diesel. Another diesel with an “engine” problem was due to water getting onto a sensor in the air intake, putting the engine management into limp mode. An engine management fault, not a diesel fault. My current Skoda diesel is getting a bit difficult to start in very cold weather, but that will almost certainly be a faulty glow plug, which can be replaced almost as easily as a spark plug. At 150,000 miles that glow plug will have lasted longer than the air conditioning pump did. My old ford focus diesel estate had 194,000 when i got rid of it ,never had a issue with the engine .the key is regular servicing. What a lot of rubbish. I’ve had both Petrol and Diesel cars and always found deisel to cheaper to run and more reliable. As for the 100,000 miles and to avoid. The engine is just broken in at this point. Funny how all these horror story’s emerge when the government wants them off the road. I remember they done this with Petrol when the wanted everyone to use Deisel. I won’t be changing mine in the future for a Petrol regardless of This rubbish. :1 so pressure in cylinder very roughly 50% higher than petrol. Not an enormous difference. 2. LOT less to wrong in a diesel, no plugs, distributer etc. Granted glowplugs. 3. Think some bright spark (pardon the pun) should sort the particulate emissions problem with nano tech. 4. Thermodynamically, The diesel cycle is known to be far more efficient that spark ignition engines. I could go on … and on. I have a Volvo diesel estate and it’s done 140000 miles . Runs perfect. Petrol engines are prone to flooding, damp starts. Spark plug failures and the new petrol engines using coil packs are always breaking down . For me , I’ll be driving a diesel until the government ban them off the roads. I have to say I have had a Citroen C8 diesel for 12 years now and done 240,000 miles. The engine itself has never ever failed. The only problems I have had (and there have been many) have been with the electrics. I also agree with your other reports.I have owned five Yaris diesel cars with no engine faults and a Peugeot camper van, the only fault,one glow plug failed.Two company ford cars with many miles on the clock with no engine faults, Finally my latest Yaris diesel is FREE road tax proving lower emissions than the petrol engine. I feel we have a conspiracy against the Diesel engine. Have had diesels with up to 200000 miles in the last few years, no problems with any of them, try pulling a caravan with a petrol engine, it will drink fuel. Would never buy another petrol engine. Total rubbish article. never heard so much rubbish, diesel engines are far more reliable than petrol engines, my first, second, third car were petrol driven… then diesel engines came along government wanted us to change to diesel .. i have never looked back, i owned 5 Mercedes Sprinters, all did in excess of 200,000 miles reliable cars i have had 3 Mercedes Cars all owned for at least 7 years Mot No problem, engine reliability Excellent and they were all diesels, the last Mercedes was an Avantgarde A200 very reliable 90,000 miles only part exchanged it as i wanted a 4 x 4 that was a mistake, returned the 4×4 to the dealer and got my Mercedes back smashed to bits compliments of The Welsh Dealer in Neath,reluctantly gave it away due to damage as i had already purchased a Peugeot 3008 Diesel 1.6 which had an issue at time of purchase but felt it was worth spending what ever it took to get it right shame it took main agents 3 attempts at my cost when i had already told them what the fault was, Now its a great Diesel car to drive and i will NOT go back to petrol engines…. My Mercedes C Class Diesel is now on 160,000 miles, I have it serviced each time it is due by an independent MB garage. It drives like new and returns 55 MPG. I am fed up with this diesel tosh. It;s the best fuel and best engine, Every anti.. get over it! Well, I am an ex Black Cab driver and I can honestly say that you are talking out of your exhaust pipe if you think Diesels are less reliable! My last cab was powered by the Nissan TD27 engine and when I gave it up, that cab’s engine had over 300,000 miles on the clock and all it had EVER had was regular servicing, an alternator and a water pump! Furthermore, I have been a Driving Instructor for the past 11 years and have ALWAYS used Diesel cars as Petrols do NOT take the punishment of the job for long. Honestly, you are fooling NOBODY with this! Utter Rubbish! As an ex Black Cab Driver and now Driving Instructor I know how good a Diesel is. You cannot beat them for their ability to work. If Diesels are so “unreliable” “costly to fix” “More likely to break down” etc,Then how come there are NO petrol driven Farm Tractors? Or Railway Locos? Or trucks? Or Fire Engines? When I gave up my old cab, (it was powered by a Nissan TD27 engine), it had over 300,000 miles on the clock and was STILL regularly giving 36 mpg. It was the vehicle’s BODYWORK that let it down, NEVER the engine, which apart from regular servicing, had only EVER had an alternator and a water pump in all those miles. You are fooling NOBODY with this unashamed toadying to Government propaganda! I love my smelly stinking Diesel car, I like others have driven both and found that Diesel is KING, it seems every time some big wig comments on topics like diesel sales go down and jobs are lost and the government have to hand out unemployment benefits, oh by the way the loss in car sales is due to brexit, to cover up there balls up on diesel, don’t we have some very intelligent big wigs in parliament, now they are blaming the cows for global warming they are farting to much. Lets face it the Government is hell bent on killing off the diesel engine, and I believe this is just another piece of scare mungoring propaganda fed down from the Government. I have had three diesels and have been very happy with them all. As a fairly new customer of yours I am staggered why you should be advocating the use of petrol cars against diesel cars as this would mean you would be involved in many more very expensive recovery trips. Two local garage owners told me that actual engine failures of diesel engines were about 85% LESS than petrol engines. In most cases it was the cars electrics which were at fault. Why would lorries,ships and trains only ever use diesels ? In your case I would ignore government and eco pressure groups and make NO COMMENTS on this issue and just hope your clients opt for diesel vehicles and so save you from paying out on recoveries. Total bull! I’ve had both over decades of driving and found zip wrong with Diesels, but had two petrol engines catch fire, and fall apart after 4 years, whilst I’ve kept one derv for 6 years without a fault! Long live diesel cars. As an extra, all hear of how derv is so polluting, but that is for old ones, old busses, etc. But know one really knows what the modern additives to modern petrol will have on us or the environment, as it took decades to nail down what was causing the health problems, lead in petrol, this was stopped rapidly, let’s see shall we! What happened to the big future hydrogen engine? This article is incorrect and a complete work of fiction! It’s absolute rubbish. Modern diesel engines are complicated with all emission stuff now added never skimp on servicing but saying don’t buy a 100k miller is talking nonsense The main worry with any 100k mile car is if it’s fitted with a dual mass flywheel clutch if it’s been replaced your fine but has not try to get the car as cheap as possible and keep a grand under the matress. Scare mongering again. Diesel engines, because they have to be made to finer limits than petrol will always, if serviced to the book, last longer. What may let them down is the electronic control units. I have just spent about two weeks researching into a replacement for my 2008 E Class Mercedes Benz 220 diesel and am totally mystified at all this talk about the Diesel engine. My car is £220 for road tax, the equivalent unleaded petrol is £400 – £500 per annum. I can update my car for a newer equivalent diesel with road tax between £20 -£120 and get a better fuel consumption with the 7 speed trip trip tronic gear box thus cutting emissions. In the end I have spoken to my local independent MOT Station at length and we have agreed as long as the car is serviced properly by Mercedes Benz as and when it should then there should be no issues with emissions. The car has covered 100,000 miles and still ticks like a Rolex Watch so it will be resprayed and given a full overhaul and continue for another 100,000 miles. Total rubbish. I have a diesel Peugeot 18 years from new and a diesel Alfa Romeo. Now 13 years old. The most reliable cars I’ve owned. Please don’t knock the poor diesel.